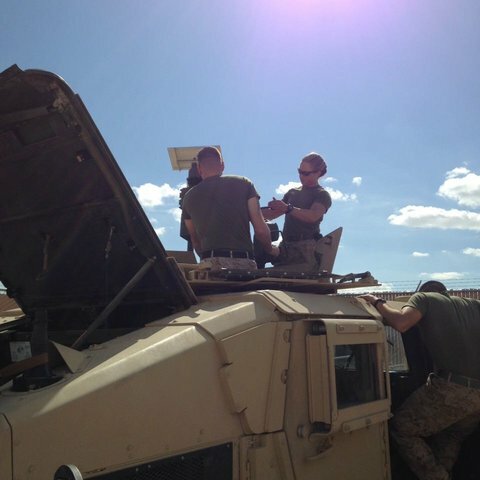 Good leadership also made a strong impression on Lance Cpl. 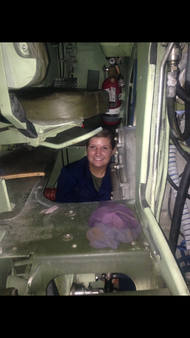 Jordyn Ridgeway when she joined the experiment and learned to drive amphibious assault vehicles, known as tracks, at Camp Pendleton in California. During the months of initial training, she said, the instructors “welcomed us with open arms. They said, ‘you might be a female, but you’re gonna be the best tracker out there, and I want them to know that I was the one who trained you.’ ” She stayed in touch with her former crew chief, who became a mentor. Her crew chief, a six-foot-plus, 200-pound male sergeant who towered over her 5-foot-4, 105-pound frame, addressed her with a variety of slurs. He left a dead mouse on her cot in an effort to get her to react. She laughed off the mouse, saying, “Is that all you got?” Her crew chief persisted, flinging water in her face. “He didn’t stop until I hit him,” said Sergeant Bynum, the eldest of nine children. “The person that won was the person that was most aggressive,” she said. “It wasn’t the one that knew the most.” Not even this closely supervised unit was impervious to the kind of hazing and harassment the corps has tried to reduce. All of the women I interviewed said that a willingness to fight and prove themselves were the only things that earned them the men’s respect. Sergeant Bynum and Lance Corporal Ridgeway recalled just one male sergeant, a natural leader with combat experience, who won the respect of both the men and women. In contrast, Sergeant Beck said her integrated unit was “one of the best” she had ever worked in. Toxic leaders — those who use hazing and shame as tools to keep their troops in line — kill morale for everyone, and only make the challenges of gender integration worse. Good leaders guide their Marines to grow into good leaders themselves. In the last month of testing, Lance Corporal Ridgeway described what she called the “come to Jesus” moment among the females in the amphibious assault vehicle platoon. Sequestered in a Quonset hut one night, they realized they had to be there for each other, and created the support structure lacking in their unit. This helped buoy them to the finish. “We just wouldn’t stop fighting because we believed in what we were doing,” Sergeant Bynum said. Teresa Fazio served as a Marine Corps officer from 2002-2006, deploying once to Iraq. Her writing has been published in The New York Times and Task and Purpose, and is forthcoming in Vassar Quarterly and Consequence Magazine. Her manuscript, Unbecoming, was a finalist in the 2015 Autumn House Press Nonfiction Contest. You can follow her on Twitter @DoctorFaz.